Julius Bilbrew graduated from Inglewood High School in 2011. He received a scholarship to D-1 Fresno State University and headed up north after graduation. Alas, the way I understand it, Bilbrew was unable to enroll at Fresno State after running into issues with the NCAA clearinghouse. Bilbrew was as shocked as the head coach at Fresno State was and he headed back home. 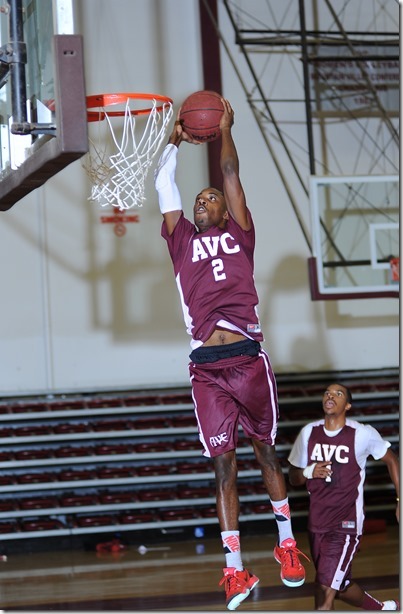 Julius decided that he wanted to play basketball at the D-1 level and joined Antelope Valley College in the 2012-13 season. That summer season for Bilbrew was unbelievable. Draining long 3-balls, slashing the middle for thunderous dunks. The sideline was crowded with D-1 coaches with oohs and aahs on their lips. Julius start as a freshman in the 2012-13 year and although he had several good games, his concentration and ability to play at a high level continued to drop through out the season. He lost his starting job and finally left the team with one game left in the season. He worked out with a number of JUCO teams but things did not workout for him. During the 2013-14 season, it became clear that Julius was working his way through some personal issues. As he worked through his personal issues he also got serious about his academics during the 2013-14 season. This summer, there was a meeting between the coaching staff and Bilbrew who said his personal issues had been solved once and for all and he was now ready to live up to the potential he has always had. The coaching staff and Julius came to an agreement on bottom line expectations he would have to live up to stay with the AVC team. It has been a painful experience watching this talented young man go through his issues in his past three years. He knows that his clock is clicking along on his eligibility to play D-1 ball. He has solved his personal issues and now has that joyful look when he is on the floor. He has become a team player and it looks to me that he may shock a bunch of people this year who have written him off. Could just be a really big year for Bilbrew. 23 February 2015 Julius Bilbrew after an outstanding year was named to the Honorable Mention team in the Western State-Conference. Always known for his offensive prowess, Bilbrew added teamwork and defense to his skill set. He will be a star at the next level.